Revel in a sensual and dainty aura as you celebrate with this floral bouquet. Enjoy this mischievious sparkle that will follow you; leaving many yearning for more. 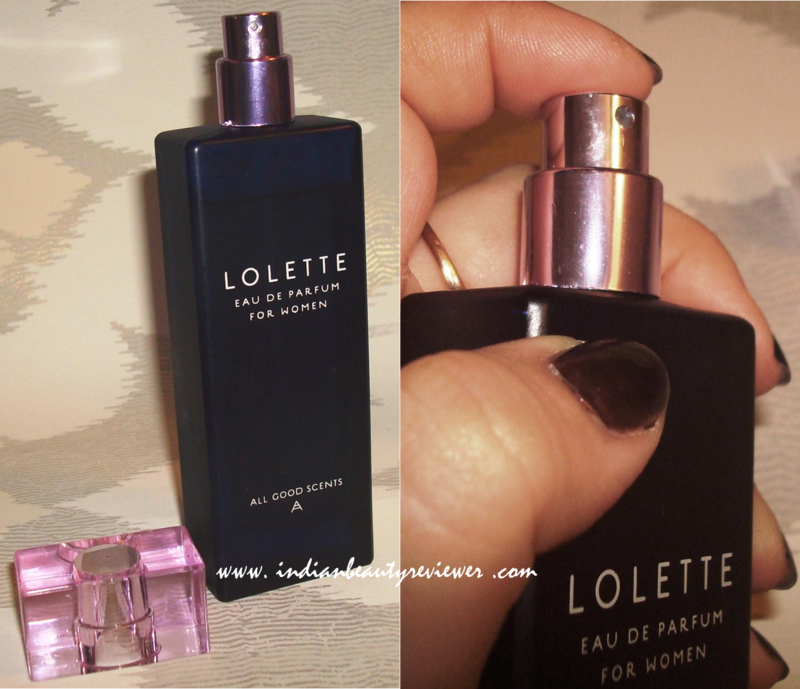 Lolette is a strong scent , meant for the go-getter woman. It’s a fragrance that reminds me of passionate pursuit of romance on the streets of Paris. 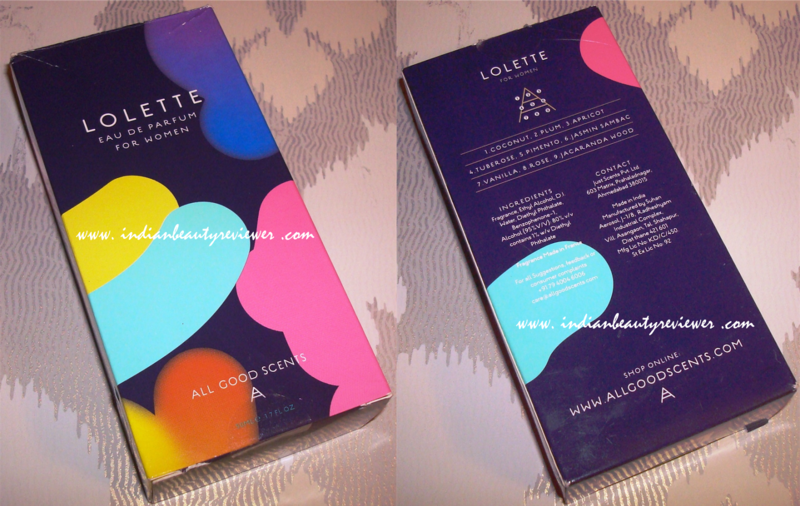 Lolette is not for the shy and the faint hearted. 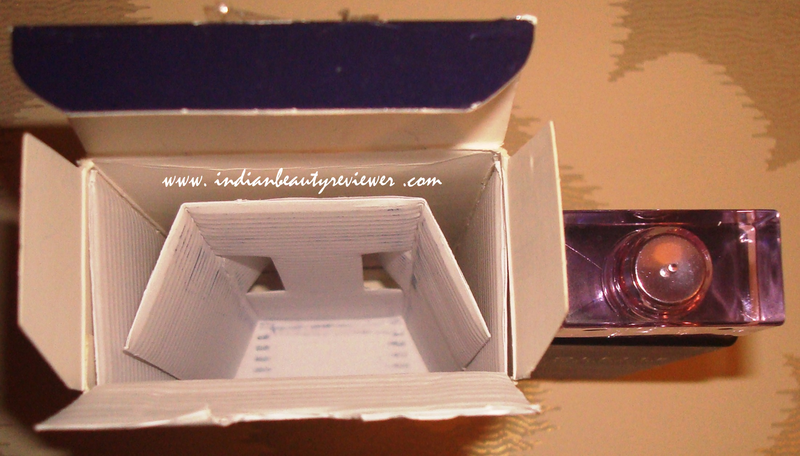 PACKAGING : The cardboard box is a dark purple color with colorful abstract shapes on it. At first glance it seems that the fragrance contained within it would be a a light flirty fragrance suitable for fun loving chicas having a colourful personality. But on getting a whiff of it, you`d know that this couldn’t be more wrong. The glass bottle is a gorgeous deep purple color with a transparent cap having the lightest hint of pink. The bottle has a chic classy simplistic design and is very convenient to carry around in purse because of its slim n compact design. I also feel it can fit into the smallest of hands ! The perfume bottle has a matte finish to it which makes it non-slippery and very less prone to fall from the hand. The atomizer feels stirdy on pressing and of a good quality. It seems as if it wouldn’t let you down just when you are in a rush to go out anywhere. Opening with the top notes of Coconut, Plum and Apricot. Each of these ingredients is distinctly identifiable in its fruity outburst, apricot being the most stubtle of the three top notes. The top notes die-down within an hour after which the middle notes emerge. Tuberose, Pimento and Jasmin Sambac are contained in the heart of the fragrance. Jasmin and Tuberose are strongly identifiable after about an hour of wearing the scent. The base notes are of Vanilla, Rose and Jacaranda Wood. The base notes emerge approximately about 4-5 hours of wearing the scent and linger on for another several hours gradually dying down within a day. Jacaranda Wood and Vanilla are the most prominent amongst the three base notes. 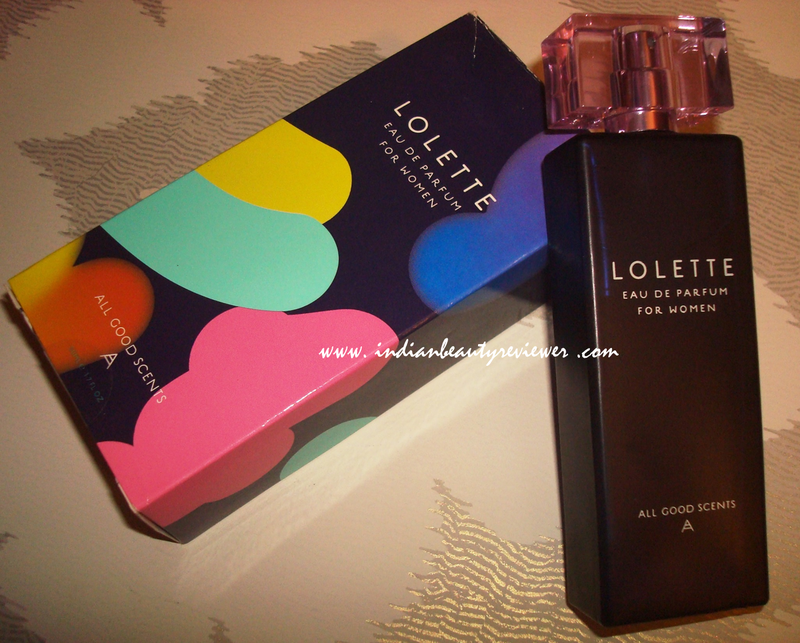 The Rose base note somewhere lags behind because of which the scent smells quite woody and vanilla-e.
Lolette is a complex blend of a strong smelling fruity, flowery and woody ingredients, but it has a distinct woody-powdery quality to it which makes it a perfect fragrance for the winters. It would be too heavy of a scent to pull off in summers. Overall, Lolette is a very strong wintery scent which has a complex blend of fruity, flowery and woody notes. If you wana leave a strong impression at your workplace or send out do-not-mess-with-me message without speaking a word or perhaps make the guys guessing with your mysterious aura when you wear this perfume, then this should surely be your pick. SHOP ONLINE : Log onto www.allgoodscents.com to own a bottle ! PS: PR Sample. The review, however, is based on facts and my unbiased opinion of the product.